At one time or another, everyone says “It’s a small world”. For instance, recently my daughter Victoria and I were in Destin, FL, in a bar during vacation (hard to imagine), but we ran into a couple of guys that just happened to be from Pleasant View, TN. And one of them actually knew a guy that worked for Geny’s 10 years ago. Small world! What were the chances of that? So, what were the chances when a few years ago, a friend of my sister’s - Jill Hayden - got engaged and we had the delightful task of helping design and execute her beautiful wedding, and then, that one of her childhood friends would decide to build an event venue in Dickson, TN? I’m not an odds-maker, but that is what happened and Jill told her sweet friend Jessica about Geny’s and here we are. Blessed and beyond excited for the opportunity to work with Jessica and Cory at their beautiful new venue, Firefly Lane. This beautiful facility is tucked in a sweet meadow on Big Barton’s Creek Road in Dickson, TN. It can accommodate about 250 guests. Features include beautiful dressing suites for both sides of the bridal party, a fabulous catering kitchen, patio with built-in bar and, best of all, it is climate-controlled for use year-round. Rental of the barn also includes tables and chairs. They have cafe string lighting and chandeliers already in place to accent their tin-covered ceiling. So, if you are in the market for a wedding venue, family reunion venue, holiday party venue, corporate event venue, etc., just contact Jessica at Firefly Lane. But, I would hurry if I were you, it will book up fast. Hope you enjoy some of the pictures of our flowers from the recent Bridal expo and of Jessica and Cory’s beautiful venue and property. 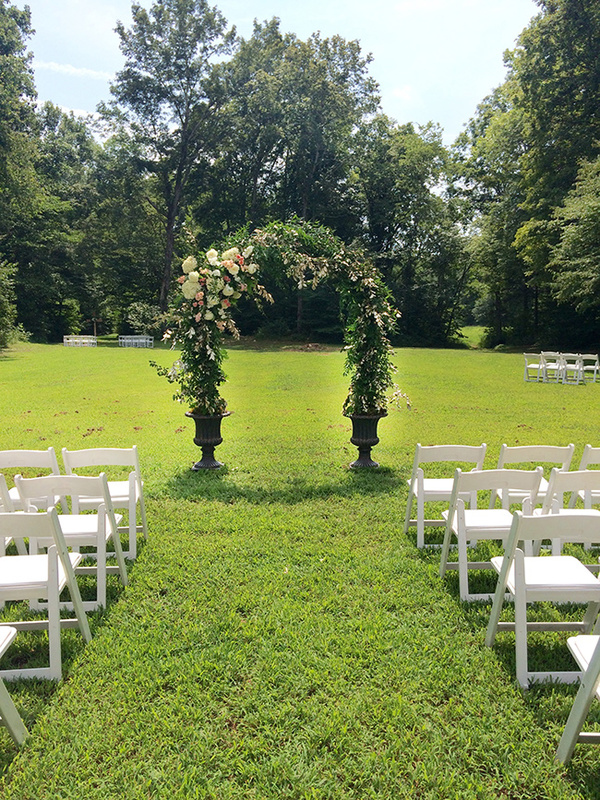 So, if you are in the market for an outdoor wedding venue, family reunion venue, holiday party venue, corporate event venue, etc., just contact Jessica at Firefly Lane. But, I would hurry if I were you, it will book up fast. Visit Firefly Lane's Facebook page. Want to plan a wedding at Firefly Lane? We can help with that! ask about our Firefly Lane Packages. 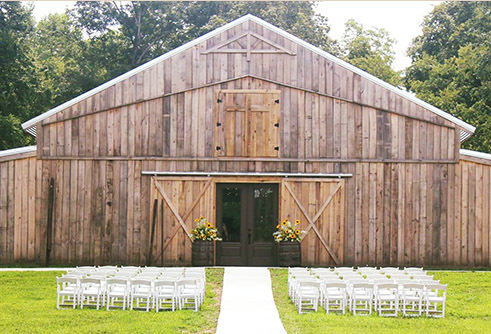 See our other blog posts about Nashville Wedding Venues and Services!